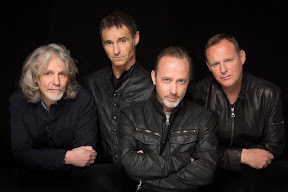 WET Wet Wet will celebrate thirty years of their classic debut album Popped In Souled Out by taking over the stage at Edinburgh Castle. Marti Oellow and the lads will play the famed Edinburgh landmark on Saturday July 15. With huge hits including three UK No.1’s – ‘With A Little Help From My Friends’; ‘Goodnight Girl’; and ‘Love Is All Around’, the Glasgow lads have made an incredible impact with their music over the years, making them one of the most successful bands in British pop history. Having sold in excess of 15 million singles and albums to date, featured in the UK official singles and album charts for over an immense 500 weeks, the band have played to more than four million people in dozens of countries around the world. The lads set a record by playing ten sold out shows at Glasgow’s SECC in 1995, when they were officially the most popular live act in the UK - even out-selling the Rolling Stones who were also on tour that year. Their most ‘2016 Big Picture Tour’ was an extensive 17-date arena tour that culminated in a sold out show at the SSE Hydro in Glasgow. The tour reached as far south as Plymouth and as far north as Inverness whilst covering all of England, Ireland, Wales and Scotland, giving fans all over the country the chance to see the band live. For the anniversary ‘Popped In Souled Out’ is being re-released as a 5 disk super deluxe edition that includes unreleased and rare material along with many extras. The band will be performing tracks from their classic debut at Edinburgh Castle as well as their greatest hits from over the past three decades.